First stop, the fabric store for material to create the satchel and chest straps. Leather is too hard to sew, pleather was still expensive and hard to sew, so I figured suede was soft enough and not too pricy. Cost me about $15 and it was enough for all the pieces I needed to do. And so, the satchel was my first item. 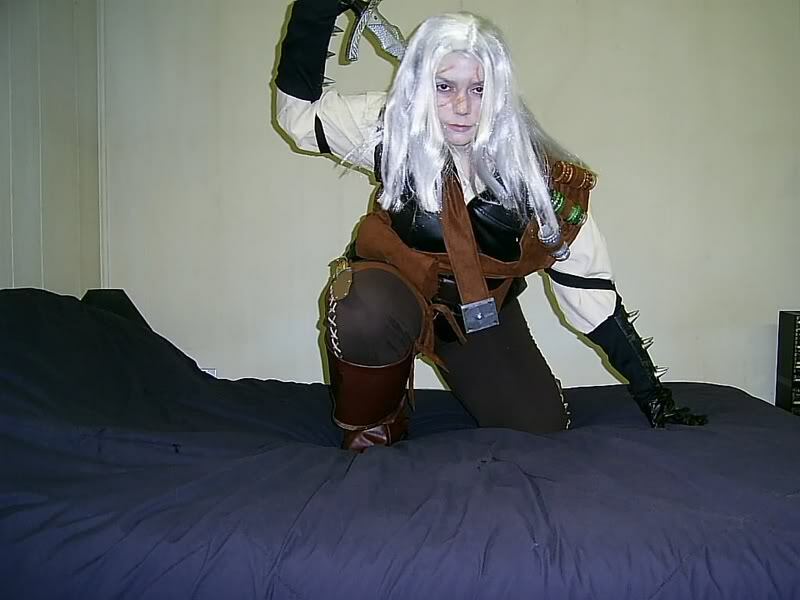 I had no idea of the measurements, so I just opened up a large artwork of Geralt on my computer and made a paper template that seemed ok when placed against me. 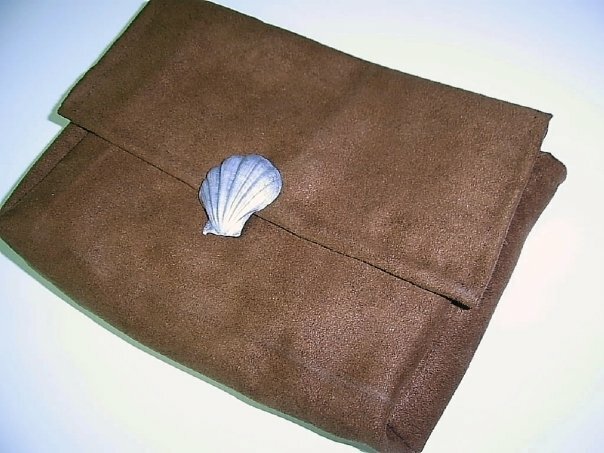 After having the paper template ready, I used it to cut the suede pieces and sew the satchel. 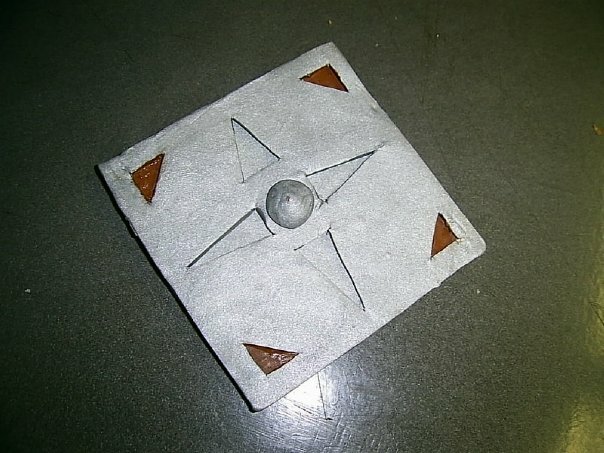 The silver shell came from a trip to the dollar store: a bag of shells and a bottle of silver acrylic paint, and it was ready (image #3). 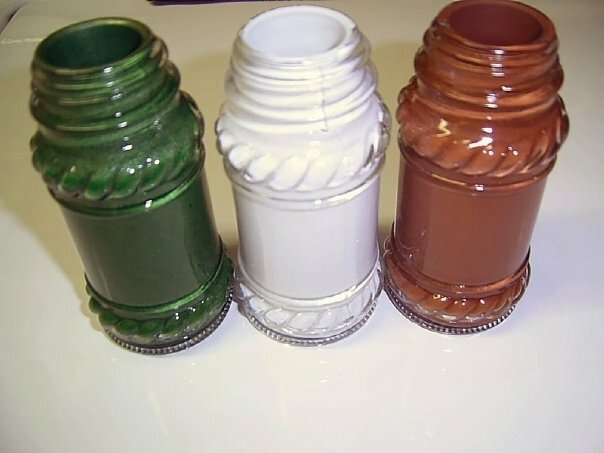 Also from the dollar store came my "potion bottles" (image #4), which are actually salt and pepper shakers (so, 2/$1). With some more acrylic paint (another $2), and painted from the inside out, I left my shiny potions to dry overnight. Small issue though, the metal lids had holes and the corks I had wouldn't stay on. So, I used more of my flour and glue paste to cover the holes, and painted the lids brown. 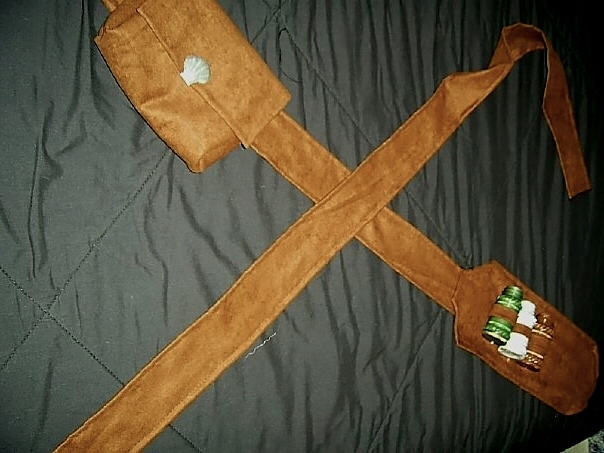 Moving on to the chest straps (image #5), I used the rest of the suede. Let me add that this was all sewn by hand too since I don't have a sewing machine, and I am slow when it comes to do it by hand, just to make sure the front doesn't look like total crap. The shoulder piece for the potions was super tricky to do, not the shape itself, but to actually get the bottles to stay still. 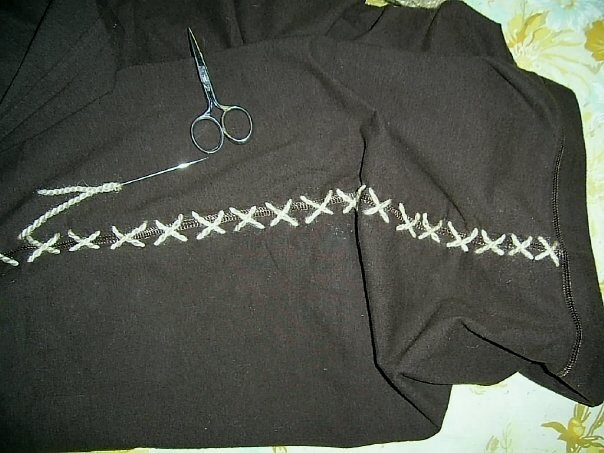 I did small "ribbons" of suede around each bottle, which I then sew to the shoulder part. But they kept tilting, so back to the dollar store to buy some stretchy clear cord ($1) so I could tie them in place without being extremely obvious. Friends, if you want potion bottles, make sure you get plastic ones instead. The glass ones kept shifting my entire chest arrangement after all was in place. Incredibly frustrating, so I had to attach it all with safety pins to the leather jacket (image #7). Speaking of which, the leather jacket I found cost me $8 at a thrift store. It had a tear on the sleeve and the cashier made sure I knew that, but no worries, I didn't need any sleeves. 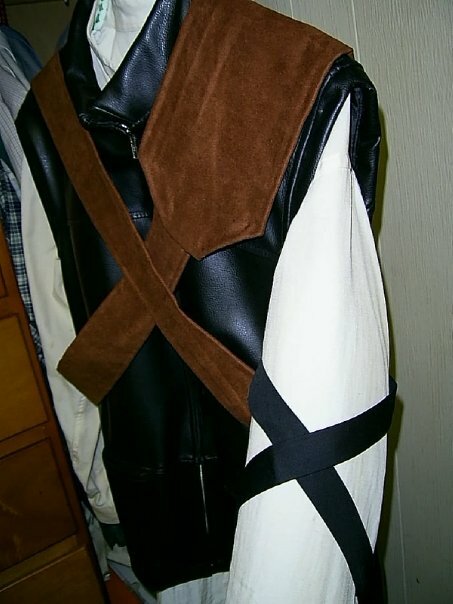 After cutting and altering the collar and removing the sleeves, my Geralt had an $8 vest . As for the shirt, a plain old white shirt did the trick, dyed with tea bags to look dirty. Add some bias tape ($1 at the dollar store) and we have the criss-cross straps on the arms, which I had to slightly stitch under the arm so they would stay in place (image #6). The buckle was another thinking process. 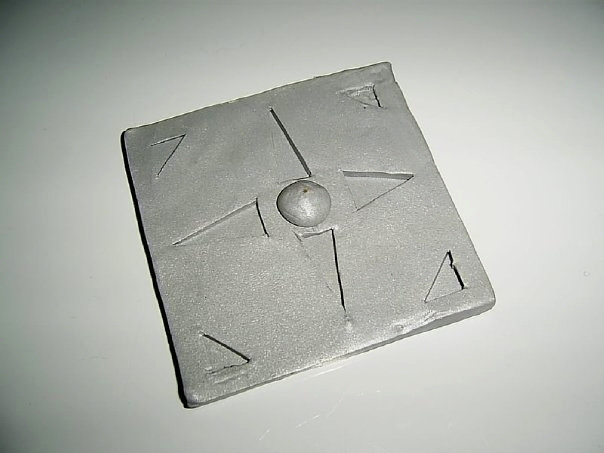 I went to a crafts supplies store and bought some silver modelling paste (like Fimo, but cheaper brand). After 2 hours of experimenting how exactly to reproduce the buckle, I figured it out. Two square layers, one with triangle cut-outs in the corners, shaky hands and an x-acto knife worked. Then I stuck a piece of toothpick in the center to hold the little round stud-like piece in place (image #8), and baked it. Omnom! 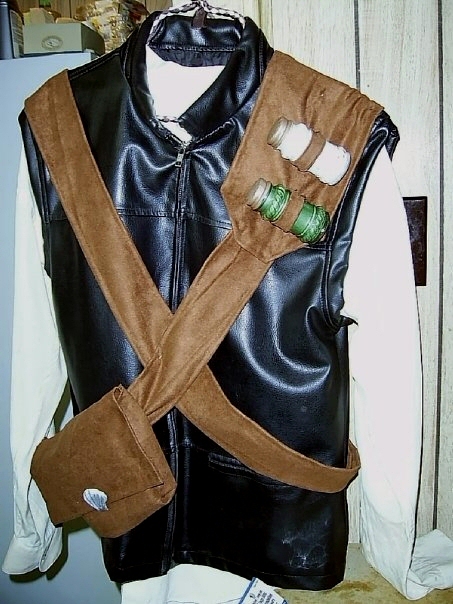 Freshly baked buckle with a silver coat of paint for added realism and painted brown corners, sticky velcro pieces in the back, and there it was, ready to attach to the chest straps (image #9). 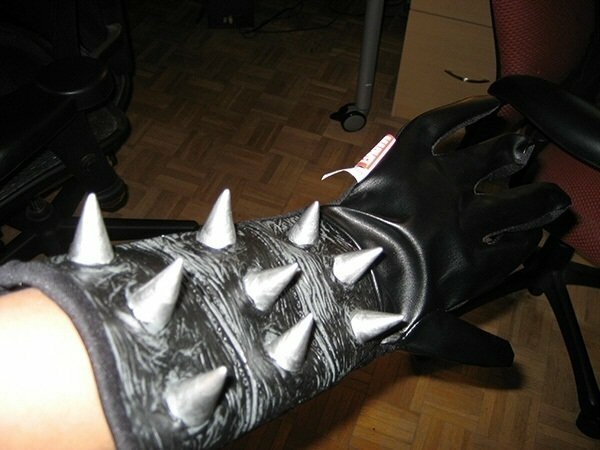 Gloves with spikes were a problem too, and everything that had actual metal spikes was either impossible to import due to the dangerous nature of the item (not to mention illegal to wear outside around here), or too expensive to ship due to weight. I settled for the next best fake thing, and with Minna's help and a $20 Amazon gift certificate I had saved up, they were free: official Ghost Rider gauntlets (image #10)! A little big for my hand but whatever works, I say! 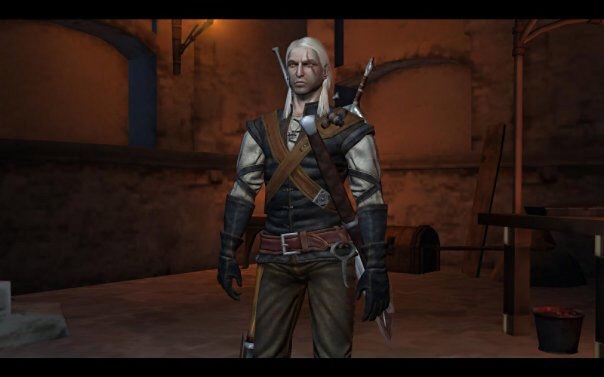 Looking around Geralt's other gear, I found a hunting knife tied to his tight. 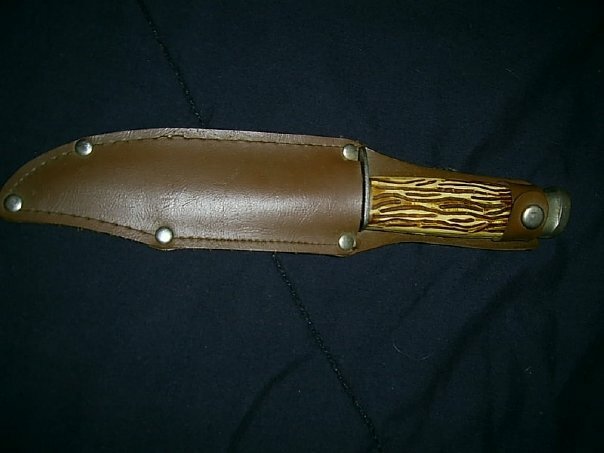 A few more strips of suede and one of my husband's hunting knifes (image #11) and that piece was out of the way. I also bought a plastic sword for $5 just in case, since we can't really use our own (we have a few at home) outside, and gave it a coat of silver paint for more shine. 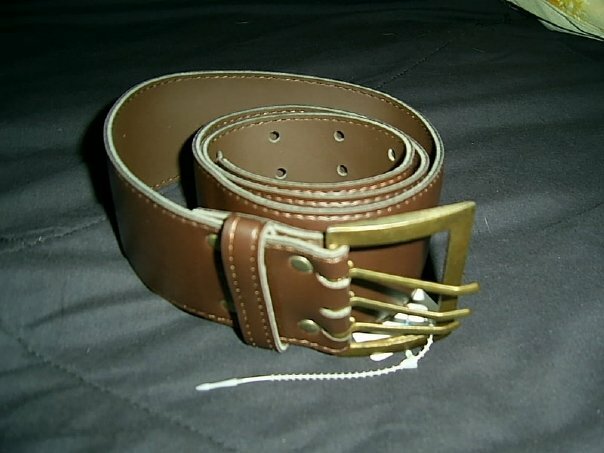 Another trip to the thrift store finally provided me with the wide belt I needed for $5 (image #12), as well as comfy and stretchy brown yoga pants (image #13) for $4. Oversized cross stitches with thick beige yarn along the sides were easy enough to do, since cross-stitching used to be a hobby of mine. I came to another obstacle with the boots. 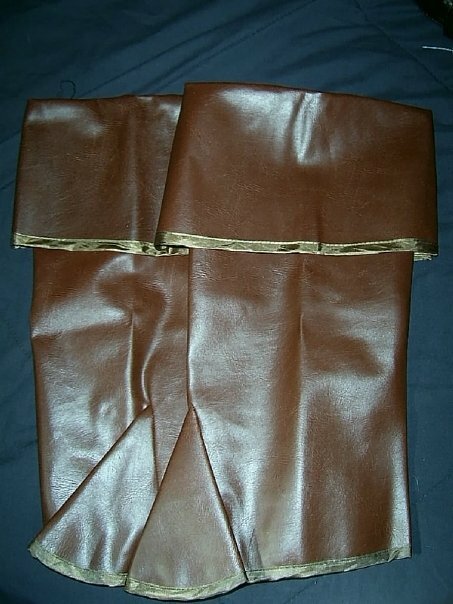 I decided on pirate boot covers, since they cost about $20 and were easier to find. Well, ok, not so easy to find in BROWN (image #14), since they're usually all black or have skulls on them. These would have to do. Last but not least, the wig. The same nice friend who helped me with Abigail's wig also helped me find this one for something like $15. Granted, the picture (image #15) isn't the exact same one I bought at the time, but it's close enough. 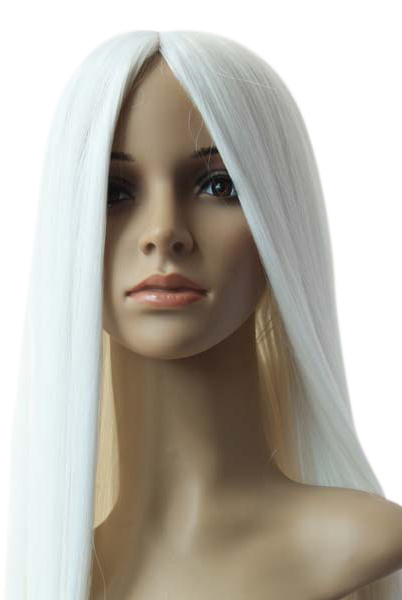 Once again, straight, medium length white hair with no bangs that didn't cost an arm and a leg at a cosplay shop was just about impossible, but Ebay provided what we were looking for. Thanks to Clay, I got both wigs in a timely manner! With all items gathered for under $100, this was a priceless costume to have. And yes, my husband wore it to work, but he was lacking the attitude, so I had to wear it and pose for a picture (image #16), makeup, scars and all. 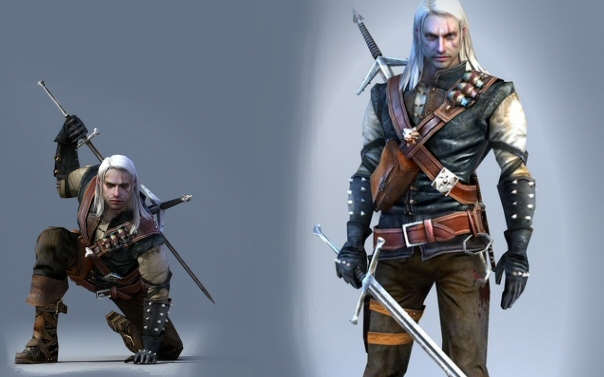 I didn't realize there was so much detail put into Geralt's outfit until I actually started working on it. But I'm glad I did. A work of sweat, blood and tears: sweat because it was hot wearing all that stuff, blood and tears because I kept pricking myself with the damn needle while sewing whatever! 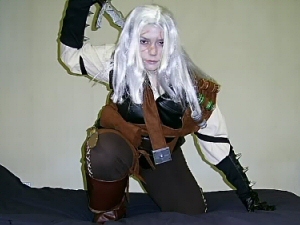 The only thing missing from my costume was a Witcher's medallion, which eventually I received from winning the contest with Abigail's costume.